The Dallas Cowboys’ comeback overtime win against the visiting Philadelphia Eagles expectedly blunted the audience for Game 5 of the World Series Sunday night. Somewhat surprisingly, though, it did not draw the largest D-FW audience of the season. Shown on NBC’s Sunday Night Football national stage, the Cowboys’ 29-23 victory upped their record to 6-1 and ran until 11:02 p.m. The game averaged 1,461,491 total viewers, falling short of both the Cowboys-Packers Game 6 on Fox (1,585,100) and the Cowboys-Bears Game 3 in prime-time on NBC (1,565,210). Among advertiser-coveted 18-to-49-year-olds, Cowboys-Eagles averaged 644,627 viewers, second only to Cowboys-Bears (698,654). Over on Fox, the Chicago Cubs won Game 5 of the World Series 3-2 to send it back to Cleveland. Stretching to 10:44 p.m., it averaged 356,284 total viewers and 150,734 in the 18-to-49 age range. Saturday’s Game 4 of the World Series averaged 298,115 total viewers on Fox and was outdrawn by that afternoon’s Texas-Baylor thriller on ABC (312,657 viewers). On Friday night, Fox’s Game 3 of the World Series led all TV attractions with 370,826 total viewers. Here are Friday’s local news derby results on Day 2 of the November “sweeps” ratings period. NBC5 won a downsized three-way 10 p.m. race in both total viewers and 25-to-54-year-olds (main advertiser target audience for news programming). Fox4 ran the table at 6 a.m. and NBC5 did likewise at 5 and 6 p.m. At 6 p.m., the Peacock prevailed by tissue paper-thin margins in total viewers over Fox4 and TEGNA8 while CBS11 was close behind but still fourth. Local Nielsen ratings snapshot (Thur., Oct. 27) -- mixed results for two CBS newbies and a fiasco for TEGNA8's 5 p.m. newscast on opening day of the November "sweeps"
The first day of the November “sweeps” ratings period also marked the last new fall series rollouts on the Big Four broadcast networks. CBS premiered The Great Indoors sitcom at 7:30 p.m. and followed at 9 p.m. with the new medical drama Pure Genius. Coming off a bounteous lead-in from The Big Bang Theory, which had 370,826 D-FW viewers, The Great Indoors fell to 181,778 viewers but still won its time slot. Among advertiser-prized 18-to-49-year-olds, Big Bang pulled in 131,491 viewers before Great Indoors landed at 60,935 to tie NBC’s The Good Place for first place at 7:30 p.m. Pure Genius, airing at 9 p.m., ran third in total viewers with 130,880, good enough to outdraw ABC’s slumping How to Get Away with Murder (87,253). NBC’s The Blacklist won the hour with 174,506 viewers. In the 18-to-49 motherlode, Pure Genius and HTGAWM tied for third with 25,657 viewers apiece while Fox4’s 9 p.m. local newscast led the pack with 57,728 viewers. Fox4, NBC5, TEGNA8 and CBS11 squared off at 6 a.m. and 5, 6 and 10 p.m. for the first of 20 November sweeps weekdays. So you can see where things stand at the opening gun, here are each station’s scorecards in total viewers and 25-to-54-year-olds (main advertiser target audience for news programming). Comments: It could still develop into a four-way race in total viewers, while NBC5 and Fox4 are likely to end the sweeps as the two frontrunners among 25-to-54-year-olds. CBS11 has virtually no chance to finish anywhere except last in the key 25-to-54 demographic. Comments: Fox4 is the longtime champ in both ratings measurements, and that’s not at all likely to change. NBC5 is a solid bet to take the silvers while TEGNA8 and CBS11 will battle to stay out of last place in the 25-to-54 demographic. Comments: NBC5 has come on strong at 6 p.m., and is the likely winner in both ratings measurements. But TEGNA8 has a shot with total viewers and Fox4 could still make some noise with 25-to-54-year-olds. CBS11 again will hold down a distant last place among 25-to-54-year-olds. Comments: NBC5 also has been pretty steady in the early evening slot, and is the favorite to win in both measurements. In contrast, TEGNA8 has built a bed of thorns for itself with scantly watched syndicated programming from 2 to 4 p.m., which affects the performance of its generally ratings-starved 4 p.m. local news hour. 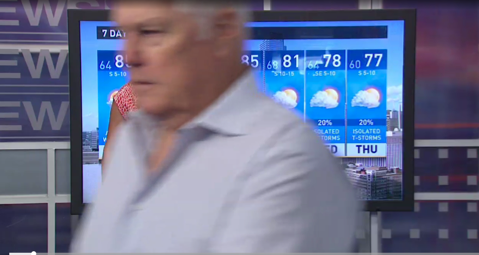 On the first day of the sweeps, the station compounded matters with a 5 p.m. edition that was infested with serious audio problems from start to finish before sports anchor Dale Hansen capped matters by inadvertently walking in front of meteorologist Colleen Coyle’s weather shot and obliterating her for a memorable half-second. Below is a screen-shot, with the entire video sequence available on the @unclebarkycom Twitter feed. Thursday’s TEGNA8 5 p.m. numbers in both measurements clearly paid the price. Otherwise, happy sweeps, everyone! It’s only just begun. The Chicago Cubs’ 5-1 win over the Cleveland Indians in Game 2 of the World Series started early, still stretched to 10:12 p.m. and managed to slide past Game 1’s overall audience in Wednesday’s D-FW Nielsens. The threat of late night rain, which materialized, pushed the opening pitch up one hour on Fox. That meant a slow early evening ratings start for Game 2, which averaged 385,368 total viewers. Game 1 finished close behind with 363,555 viewers. Among advertiser-coveted 18-to-49-year-olds, though, Game 2 came up a bit short with 150,734 viewers compared to Game 1’s 153,941. The World Series beat all competing programming in both ratings measurements, with NBC’s 8 p.m. episode of Law & Order: SVU (196,320 total viewers) drawing the second biggest crowd. ABC’s 8:30 p.m. episode of Modern Family was the runner-up among 18-to-49-year-olds with 86,592. Here are Wednesday’s local news derby results on the eve of the early-starting November “sweeps” ratings period. NBC5 won a downsized 10 p.m. race in both total viewers and 25-to-54-year-olds (main advertiser target audience for news programming). Fox4 ran the table at both 6 a.m. and 5 p.m. NBC5 stayed strong at 6 p.m. with twin wins. Fox4’s 6 p.m. news was knocked out by the start of the World Series. Fox’s Game 1 of the World Series between two teams starved for a championship hit for a higher D-FW Nielsen ratings average than last October’s opener. There are, however, mitigating circumstances. The Cleveland Indians, who haven’t won a World Series since 1948, cruised to a 6-0 win over the visiting Chicago Cubs, who hadn’t even been in a World Series since 1945. Stretching to 10:48 p.m., the game averaged 363,555 viewers. Last fall’s Game 1 on Fox, between the Kansas City Royals and New York Mets, drew an average of 290,378 viewers. But although a thriller, the 14-inning game ran all the way to 12:18 a.m. and included a 4th inning power failure that knocked out Fox’s pictures for several minutes and sent the game over to the MLB network. In the game’s final full 15-minute segment, the audience had dwindled to 184,182 viewers. The Royals won, by the way. Among advertiser-prized 18-to-49-year-olds, Indians-Cubs averaged 153,941 viewers compared to 117,501 for Game 1 of Royals-Mets. CBS’ 7 p.m. hour of NCIS nipped the first hour of Indians-Cubs in total viewers by a score of 349,013 to 341,742. The World Series otherwise won the rest of the night in total viewers and easily swept prime-time and late night in the key 18-to-49-year-old demographic. On Monday, NBC’s 7 to 9 p.m. edition of The Voice as usual led all prime-time programming in total viewers with 312,657. The 7:30 p.m. premiere of Matt LeBlanc’s Man With A Plan sitcom on CBS finished third in its time slot among the Big Four broadcast networks with 181,7778 viewers. In the 18-to-49 age range, ESPN’s Monday Night Football (Broncos vs. Texans) had the best overall average with 128,284 viewers. On a Dallas Cowboys-less Sunday, CBS’ late afternoon/early evening New England Patriots-Pittsburgh Steelers game led the NFL parade with 494,435 total viewers. That put it just ahead of Fox’s earlier Philadelphia Eagles-Minnesota Vikings clash (472,622 viewers). AMC’s latest season premiere of The Walking Dead had 385,38 total viewers, falling short of the competing 8 to 9 p.m. portion of NBC’s Sunday Night Football matchup between the Seattle Seahawks and Arizona Cardinals. But Walking Dead walloped everything in the 18-to-49-year-old demographic, with 253,361 viewers. Let’s move to Saturday, where the most-watched TV attraction in total viewers, CBS’ afternoon Alabama-Texas A&M game, weighed in with 283,573. Languishing on FS1, the Chicago Cubs’ clinching win over the visiting Los Angeles Dodgers, which sent them to their first World Series in 71 years, averaged just 167,235 total viewers. On Friday night, CBS’ 9 p.m. hour of Blue Bloods as usual led all programming in total viewers with 254,489. But NBC’s two-hour edition of Dateline was tops with 18-to-49-year-olds (54,521). Here are the local news derby results for Friday, Monday and Tuesday. Friday -- CBS11 drew the most total viewers at 10 p.m., but Fox4 won among 25-to-54-year-olds (main advertiser target audience for news programming). 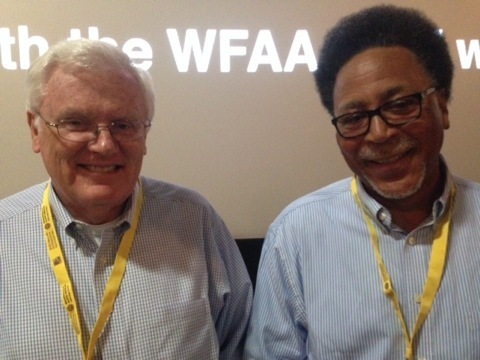 Fox4 also swept the 6 a.m. and 5 p.m. races. At 6 p.m., TEGNA8 had the most total viewers and NBC5 won with 25-to-54-year-olds. Monday -- NBC5 had a big day, running the table at 5, 6 and 10 p.m. Fox4 again scored twin wins at 6 a.m.
Tuesday -- CBS11 won a downsized three-way competition at 10 p.m. in total viewers while TEGNA8 was tops with 25-to-54-year-olds. Fox4 swept the 6 a.m. races and NBC5 did likewise at 5 p.m. The Peacock and TEGNA8 tied for the most total viewers at 6 p.m., but NBC5 had the gold to itself among 25-to-54-year-olds. Thursday Night Football prevailed as usual in prime-time while Fox’s ambitious and heavily promoted re-make of The Rocky Horror Picture Show for the most part was frighteningly mediocre in the D-FW Nielsen ratings. The Green Bay Packers’ win over the Chicago (Teddy) Bears, which ran until 10:37 p.m., averaged 298,115 viewers on CBS and added another 94,524 for the NFL Net simulcast. Among advertiser-prized 18-to-49-year-olds, CBS had 118,663 viewers and the NFL Net, 54,521. Rocky Horror, airing in the 7 to 9 p.m. slot, drew 109,067 total viewers. Among the Big Four broadcast networks, that was still good enough to beat NBC’s 7 to 8 p.m. combo of Superstore and The Good Place, and ABC’s 8 p.m. episode of the dying Notorious. In the 18-to-49 age range, Rocky Horror had 48,107 viewers, outdrawing the two NBC comedies, the Peacock’s Chicago Med and Notorious. TEGNA8 edged NBC5 at 10 p.m. for the most total viewers in a downsized three-way race, but the Peacock won by a comfy margin with 25-to-54-year-olds (main advertiser target audience for news programming). Fox4 had the most total viewers at 6 a.m. while NBC5 again was tops with 25-to-54-year-olds. TEGNA8 swept the 6 p.m. competitions and NBC5 did likewise at 5 p.m.
Fox and Fox News Channel capitalized on “one of their own” moderating the final debate Wednesday night between Democratic nominee Hillary Clinton and Republican ticket-topper Donald Trump. Chris Wallace very capably did the honors, pressing the candidates when necessary and not allowing them to make him a “potted plant,” as he said at one point. 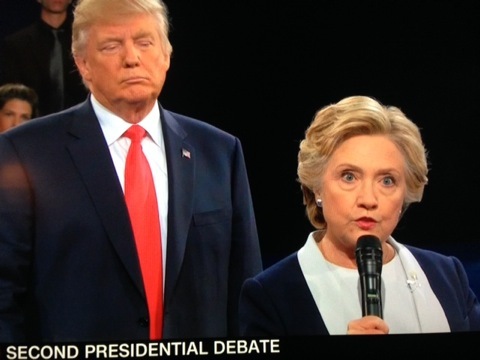 Debate 3 was carried on 10 major networks, with NBC re-joining after Sunday Night Football intervened during Debate 2 and Telemundo also back on board after stiffing the second Trump-Clinton confrontation in favor of telenovelas. Here are the D-FW audience numbers in total viewers and advertiser-prized 18-to-49-year-olds. Hand-held calculator technology says that’s a grand total of 1,563,288 viewers. The first debate easily topped that with 1,955,926 viewers before Debate 2 dropped to 1,476,034 viewers. Sunday’s Dallas Cowboys-Green Bay Packers game on Fox topped Debates 2 and 3 with 1,585,100 total viewers. That adds up to a combined 602,936 viewers. 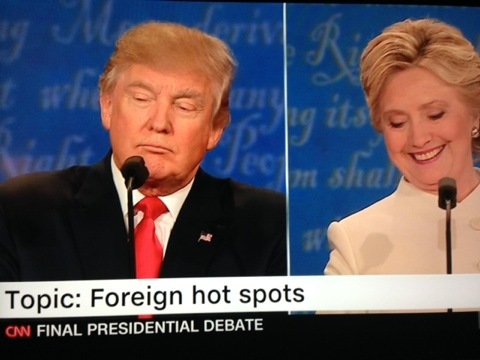 The first debate had 811,396, and the second, 529,173. Sunday’s Cowboys-Packers game again topped both Debates 2 and 3 with 606,142 viewers in this younger demographic. Wednesday’s 7 p.m. debate lead-in programs were topped by Fox’s Lethal Weapon, which had 319,928 total viewers and 121,870 in the 18-to-49 age range. TEGNA8 drew the most total viewers at 10 p.m. while NBC5 ran first among 25-to-54-year-olds (main advertiser target audience for news programming). Fox4 swept the 6 a.m. competitions and also had twin wins at 5 p.m. The 6 p.m. golds went to TEGNA8 in total viewers and NBC5 with 25-to-54-year-olds. NBC swept Tuesday’s prime-time ratings among advertiser-prized 18-to-49-year-olds while CBS still showed strength in overall numbers. The Peacock’s freshman prizewinner, This Is Us, continued to excel in the 8 p.m. hour with the night’s best showing in the key 18-to-49-year-old realm (115,456 viewers). It also nipped CBS’ competing Bull in total D-FW viewers by a score of 290,844 to 283,573. NBC likewise won at 7 and 9 p.m. among 18-to-year-olds with The Voice (83,385) and Chicago Fire (41,692). CBS rolled to 7 and 9 p.m. wins in total viewers with NCIS (421,724) and NCIS: New Orleans (269,031). On ABC, the new sitcom American Housewife showed some pulling power at 7:30 p.m. by ranking as the network’s most-watched show of the night in both ratings measurements. In each case, it improved significantly on its lead-in from The Middle before ABC’s 8 p.m. sitcom, Fresh Off the Boat, fell into a ratings valley. Fox again tanked with its lineup of Brooklyn Nine-Nine, New Girl and Scream Queens. All three ran fourth across the board in competition among the Big Four broadcast networks. The CW’s 7 p.m. episode of The Flash also outdrew Brooklyn Nine-Nine and New Girl in both total viewers and 18-to-49-year-olds. CBS11 took the top spot at 10 p.m. in total viewers, but NBC drew the most 25-to-54-year-olds (main advertiser target audience for news programming). Fox4 had twin wins at 6 a.m. while NBC5 ran the table at 6 p.m. Both 5 p.m. firsts went to Fox4. Two players divided the prime-time spoils in the Big Four broadcast network universe Monday while ABC and Fox again went winless. CBS’ The Big Bang Theory led off by winning its 7 p.m. slot in both total D-FW viewers (363,555) and advertiser-craved 18-to-49-year-olds (131,491). The 7:30 to 9 p.m. portion of NBC’s The Voice then took firm control. For its full two hours, The Voice averaged 319,928 total viewers and 125,077 in the 18-to-49 age range. CBS’ Scorpion won the 9 p.m. hour in total viewers among the Big Four (203,591), but NBC’s competing Timeless drew the most 18-to-49-year-olds (67,349). Fox’s 8 p.m. entry, Lucifer, continued to raise a little hell among 18-to-49-year-olds, placing second in that hour ahead of ABC’s Dancing with the Stars and CBS’ sitcom duo of 2 Broke Girls and The Odd Couple. The latter show easily was the night’s low scorer in this key demographic. Among cable networks, ESPN’s Monday Night Football offered a lackluster drubbing of the hapless New York Jets by the Arizona Cardinals. The game averaged a fairly lowly 261,760 total viewers and 131,491 in the 18-to-49 realm. TEGNA8 won in total viewers at 10 p.m. while Fox4 had the most 25-to-54-year-olds (main advertiser target audience for news programming). Fox4 again controlled the 6 a.m. competitions in both ratings measurements and also ran the table at 6 p.m. NBC5 had twin wins at 5 p.m.
All aboard the Dak Prescott express. The Dallas Cowboys’ 30-16 dismantling of the Green Bay Packers in a game that wasn’t that close hit a season high Sunday in total D-FW viewers. Running until 6:34 p.m. on Fox, Game 6 averaged 1,585,100 viewers, edging the previous 2016 record of 1,565,210 for the Game 3 win against the Chicago Bears on NBC’s Sunday Night Football. Cowboys-Packers had 606,142 viewers in the advertiser-coveted 18-to-49-year-old demographic, falling significantly short of the 698,654 for Cowboys-Bears. Fox’s Cowboys warmup act, the Washington Redskins’ win over the Philadelphia Eagles, ranked as Sunday’s second most-watched TV attraction with 574,417 total viewers and 246,947 in the 18-to-49 age range. The 600th episode of Fox’s The Simpsons, which also was the show’s annual “Treehouse of Horror” episode, came up big at 7 p.m. with 487,164 total viewers and 224,497 in the 18-to-49 realm. Both totals were more than good enough to outdraw the Sunday Night Football game between the Houston Texans and Indianapolis Colts, which went into overtime. The game drew 334,471 total viewers and 166,769 in the 18-to-49 realm. Over on FS1, Sunday night’s NLCS Game 2 between the victorious Los Angeles Dodgers and Chicago Cubs had 138,151 total viewers and 54,521 in the 18-to-49 motherlode. That at least was good enough to beat ABC’s entire prime-time lineup. On Saturday, CBS’ afternoon Alabama-Tennessee game edged ABC’s prime-time Wisconsin-Ohio State showdown in total viewers by a score of 174,506 to 167,235. They were the two most-watched college games of the day. Friday’s prime-time Nielsens were led by CBS’ Blue Bloods in total viewers (232,675) and Fox’s Hell’s Kitchen among 18-to-49-year-olds (51,314). CBS11 led at 10 p.m. in total viewers while NBC5 was tops with 25-to-54-year-olds (main advertiser target audience for news programming). Fox4 swept the 6 a.m. competitions and NBC5 did likewise at 6 a.m. The 5 p.m. golds went to the Peacock in total viewers and Fox4 with 25-to-54-year-olds. NBC5 reporter Jeff Smith, who’d been working the early morning shift, is saying goodbye to all that in a big way after joining the Fort Worth-based station in January of 2013. 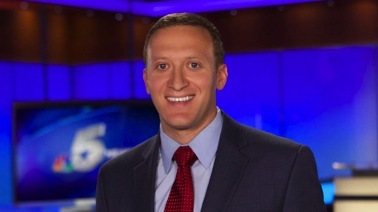 Smith, a New Jersey native and graduate of Northwestern University, came to NBC5 from Charlotte’s ABC affiliate, WSOC-TV, where he had spent two and a half years. The usual league leaders stepped up again on Wednesday and Thursday, with the NFL giving CBS the lion’s share of prime-time viewers and Fox’s Empire pacing that network’s 7 to 10 p.m. sweep. Thursday Night Football averaged 247,217 D-FW viewers on CBS and tacked on another 72,711 for the NFL Network’s simulcast. TNF also topped all Thursday night programming in advertiser-prized 18-to-49-year-olds, with 105,834 on CBS and another 38,485 on NFL Net. The closest competing attraction, ABC’s 7 p.m. episode of the resilient Grey’s Anatomy, drew 196,320 total viewers and 70,556 in the 18-to-49-year-old realm. Fox’s 8 p.m. episode of the new Pitch hung in there, particularly with 18-to-49-year-olds. It ran second from 8 to 9 p.m. in that key measurement with 67,349 viewers. On Wednesday night, Empire again flexed with 428,995 total viewers and 218,083 in the 18-to-49 demographic. No other program came close. Fox also won at 7 and 9 p.m. in both ratings measurements with Lethal Weapon (recently picked up for a full season) and the local news. ABC’s 9 p.m. episode of the new Designated Survivor showed signs of fatigue, running last at that hour in total viewers among the Big Four broadcast networks and beating only CBS’ competing Code Black in the 18-to-49 age range. Wednesday -- Let’s blast the trumpets for NBC5, which notched an exceedingly rare double grand slam by sweeping the 6 a.m. and 5, 6 and 10 p.m. competitions in both total viewers and 25-to-54-year-olds (main advertiser target audience for news programming). Fox4 is the only other station in any position to do this. But as the November “sweeps” ratings period nears, the local Peacock clearly is the station with the most momentum. Thursday -- NBC5 had another productive day, sweeping a downsized three-way race at 10 p.m. while also running the table at 6 p.m.
Fox4 reclaimed the top spot at 6 a.m. in both ratings measurements. At 5 p.m., NBC5 had the most total viewers and tied CBS11 for first place with 25-to-54-year-olds. 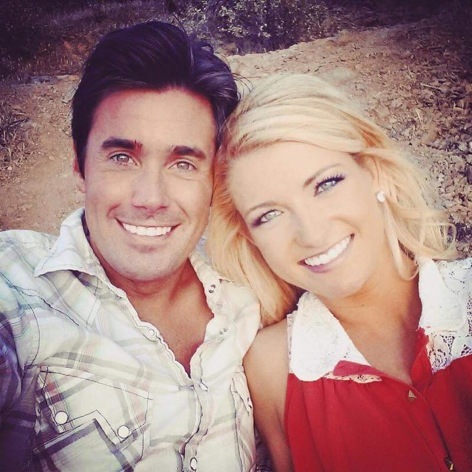 Married and now divorcing D-FW: CBS11 traffic anchor Chelsey Davis & TEGNA8 Daybreak reporter Brandon Hamilton, both of whom are leaving their stations after he took an anchor position in Phoenix. The early morning news picture abruptly changed at two D-FW stations this week, with both CBS11 and TEGNA8 losing prominent players. Chelsey Davis, who has been CBS11’s traffic anchor since June of 2015, will be leaving to join her husband, Brandon Hamilton, in Phoenix. He’s been TEGNA8’s Daybreak feature reporter since July of last year. The couple recently were married. CBS11 interim news director Laurie Passman broke the news to staffers Tuesday in a brief memo obtained by unclebarky.com. 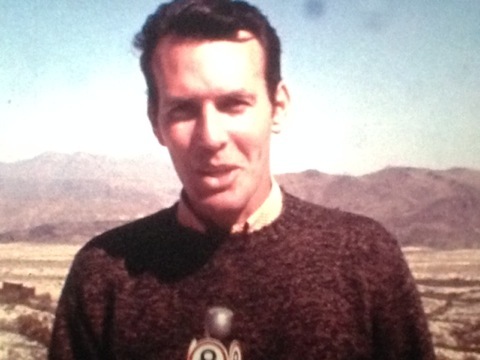 “Our newlywed traffic reporter Chelsey Davis is following her heart (and a new husband) back to Arizona,” Passman said. “Brandon was recently hired by a station in Phoenix, and naturally, Chelsey wants to be with him.” Davis’ last day at CBS11 will be Nov. 23rd, Passman said. “We are actively seeking her replacement.” The Phoenix station is TEGNA-owned NBC affiliate KPNX-TV. Davis, a former Arizona Cardinals cheerleader, replaced interim CBS11 traffic reporter Tammy Dombeck. She arrived from Phoenix’s KPHO-TV, the market’s CBS affiliate. Davis was hired by news director Mike Garber, who since has been fired. CBS11 continues to run last in the early morning ratings behind Fox4, NBC5 and TEGNA8 (in that order). Local Nielsen ratings snapshot (Tues., Oct. 11) -- NBC's This Is Us says "Me first." The biggest new hit of the fall season continued to assert itself Tuesday night. Moving up to 8 p.m., the third episode of NBC’s This Is Us greatly improved upon its lead-in from The Voice to dominate the hour in both both key ratings measurements. It drew 349,013 D-FW viewers and 115,456 in the advertiser-coveted 18-to-49-year-old demographic. CBS’ 7 p.m. episode of NCIS as usual led all programming in total viewers with 428,995 before the network’s new Bull fell to a second place finish with 290,844. The Voice topped the 7 p.m. hour in 18-49-year-olds (70,556). ABC’s 7:30 p.m. premiere of American Housewife ran third in that half-hour slot in total viewers (152,693), but moved up to second place with 18-to-49-year-olds by inching past the concluding half-hour of NCIS. The 9 p.m. hour went to CBS’ NCIS: New Orleans in both total viewers (283,573) and 18-to-49-year-olds (57,728), with NBC’s competing Chicago Fire just a sliver behind in the latter measurement. Here are Tuesday’s local news derby numbers. Again capitalizing on an advantageous CBS lead-in program, CBS11 won for the third straight weekday at 10 p.m. in total viewers. NBC5 ran first with 25-to-54-year-olds (main advertiser target audience for news programming). Fox4 swept the 6 a.m. competitions. At 6 p.m., NBC5 and TEGNA8 tied for the most total viewers, with the Peacock winning outright among 25-to-54-year-olds. Fox4 and NBC5 tied for the top spot in total viewers at 5 p.m., but NBC5 again was alone in first with 25-to-54-year-olds. CBS’ Monday night leadoff hitter, The Big Bang Theory, had the biggest audience hauls in prime-time before NBC for the most part took over in the Big Four broadcast network competitions. Big Bang drew 349,013 D-FW viewers and 112,249 in the advertiser-coveted 18-to-49-year-old demographic to beat the first half-hour of NBC’s The Voice in both ratings measurements. The Voice then took over from 7:30 to 9 p.m. with overall averages of 312,657 total viewers and 105,834 in the 18-to-49 realm. At 9 p.m., CBS’ Scorpion edged NBC’s new Timeless in total viewers by a score of 189,049 to 159,964. But Timeless won among 18-to-49-year-olds while Fox4’s local newscast slid into second place ahead of Scorpion. ABC’s 9 p.m. newbie, Conviction, again ran last in its time slot in both ratings measurements. In the cable universe, ESPN’s Monday Night Football also is slumping, although the matchup between two teams with 1-3 records -- Tampa Bay and Carolina -- was less than compelling. The game averaged just 210,862 total viewers and 102,627 in the 18-to-49 age range. The losing Panthers, who went to the Super Bowl earlier this year, also were without marquee QB Cam Newton. CBS11 had the most total viewers at 10 p.m. while NBC5 comfortably won among 25-to-54-year-olds (main advertiser target audience for news programming). NBC5 uncommonly won at 6 a.m. in both ratings measurements and TEGNA8 likewise was a rare double-winner at 6 p.m.
Fox4 and NBC5 tied for the most total viewers at 5 p.m., but the Peacock won outright with 25-to-54-year-olds. It can get loud and rowdy outside TEGNA8’s Victory Park studios. And so it did during meteorologist Pete Delkus’ Sunday night weather cast. Sunday night’s gut-punching town hall “presidential” debate between Donald Trump and Hillary Clinton on eight networks had just enough tabloid appeal to beat the Dallas Cowboys-Cincinnati Bengals mid afternoon/early evening game on just CBS. Game 5, an impressive and dominating 28-14 win by Dallas, averaged 1,374,238 D-FW viewers. A total of 522,757 were in the advertiser-prized 18-to-49-year-old age range. Below are the network-by-network audiences for the verbal brawl moderated by CNN’s Anderson Cooper and ABC’s Martha Raddatz. NBC kept its contractual commitment to the NFL’s Sunday Night Football package while Telemundo blew this one off and instead presented telenovelas, which may have been less steamy. The debate stretched to 9:37 p.m.
That’s a total of 1,476,034 viewers, just over 100,000 more than the Cowboys drew. That’s a total of 529,173 viewers in this key audience demographic, which inched out the Cowboys’ 522,757. NBC’s prime-time game between the Green Bay Packers and New York Giants averaged 428,895 total viewers and 186,011 in the 18-to-49 age range. Then there were the Texas Rangers, who got swept by the Toronto Blue Jays after a regular season in which they won more games than any other American League team. Toiling in prime-time on TBS in a game that ended precisely at 10 p.m., the Rangers’ 7-6 extra innings loss averaged 298,115 total viewers, with 112,249 in the 18-to-49 motherlode. The crowd peaked in the agonizing final 15-minute segment, with 487,164 total viewers and 221,290 in the 18-to-49 realm. Even Fox’s noon-starting Lions-Eagles games had higher overall audience averages than the Rangers’ last gasp. It drew 443,537 total viewers and 189,219 in the 18-to-49 age range opposite CBS’ Minnesota Vikings-Houston Texans game. On Saturday, the annual Texas-OU game, exiled to an 11 a.m. start on FS1, still managed to lead the college football parade with 319,928 total viewers. In Friday’s Nielsens, the Rangers’ Game 2 loss to Toronto, which started at noon, averaged 174,506 total viewers, with 70,556 in the 18-to-49 demographic. CBS’ 8 p.m. episode of Hawaii Five-0 led all Friday programming in total viewers with 298,115. CBS11 won in total viewers at 10 p.m. while Fox4 and NBC5 shared the lead among 25-to-54-year-olds (main advertiser target audience for news programming). Fox4 had the most total viewers at 6 a.m., but the Peacock was tops with 25-to-54-year-olds. NBC5 again cleaned up in the early evening with twin wins at both 5 and 6 p.m.
A late afternoon weekday start time isn’t helpful to any team’s ratings. But the Texas Rangers then compounded matters Thursday by being belted out early on their home field by the Toronto Blue Jays. The 10-1 rout in Game One of their five-game NLDS series, which mercifully ended at 7:38 p.m. on TBS, averaged just 196,320 D-FW viewers, with 86,592 in the advertiser-prized 18-to-49-year-old age range. In the closing minutes, the audience had dropped to respective totals of 101,795 and 28,864 viewers. How bad is that? It’s this bad. Thursday Night Football, with the Arizona Cardinals beating the San Francisco 49ers 33-21, easily outdrew the Rangers in both ratings measurements. In total viewers, Cardinals-49ers had a crowd of 225,404 on CBS and added another 72,711 for the NFL Net simulcast for a combined 298,115. Among 18-to-49-year-olds, football pulled in 109,041 viewers on CBS and another 51,314 on NFL Net for a combined 160,355. That’s almost twice the crowd drawn by the entire Rangers-Blue Jays game. NBC’s 9 p.m. episode of Blacklist equaled the Rangers’ ratings in total viewers with 196,320. In Wednesday’s prime-time Nielsens, Fox and Fox4 romped all night in both key ratings gauges with a lineup of Lethal Weapon, Empire and the 9 p.m. local newscast. Empire as usual led all programming in total viewers (378,097) and 18-to-49-year-olds (192,426). Wednesday -- The two haves continued to dominate the have nots. Fox4 swept the 6 a.m. and 10 p.m. competitions in total viewers and 25-to-54-year-olds (main advertiser target audience for news programming). NBC5 did likewise at 5 and 6 p.m. while TEGNA8 and CBS11 went hungry. Thursday -- NBC5 loaded up with twin wins at 5, 6 and 10 p.m., and Fox4 again swept the 6 a.m. face-offs. The 10 p.m. competitions were down-sized, with CBS11 still airing Thursday Night Football. Telemundo and Univision cared so much that they didn’t bother televising Tuesday night’s one and only vice presidential debate between Democrat Tom Kaine and Republican Mike Pence. That left a smaller network pool for an animated face-off that proved to be a ratings puddle compared to last week’s Donald Trump-Hillary Clinton brawl. 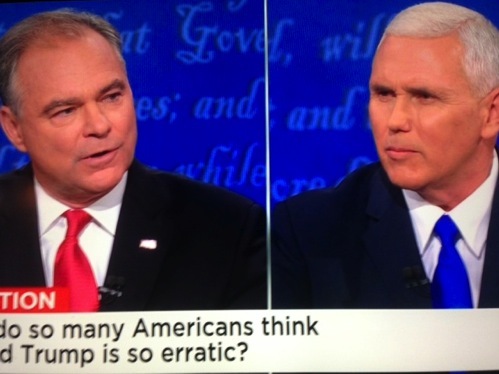 For his part, Kaine both wore a Republican red tie and seemed intent on being a Trump-ian interruptor of Pence, who wore Democrat blue. Here are the network-by-network D-FW ratings in total viewers for Pence-Kaine. That’s a not-so-grand total of 712,564 viewers compared to 1,955,926 for the first Clinton-Trump debate. Sunday’s Dallas Cowboys-San Francisco 49ers game averaged 1,396,051 viewers on just one network (Fox). On ABC, CBS and NBC, the vice presidential debate fell off (sharply in two cases) from the 7 p.m. lead-in programs. CBS’ NCIS led with 327,200 viewers in that time slot, followed by NBC’s The Voice (247,217) and ABC’s Dancing with the Stars results show (167,235). Only Fox’s 7:30 p.m. episode of New Girl, with 50,898 viewers, had a smaller audience than the following debate. On TBS cable, the Toronto Blue Jays’ extra inning wild card game win over the Baltimore Orioles averaged 203,591 total viewers. The Texas Rangers will square off with the Jays on Thursday at Globe Life Park in their best-of-five post-season series. Two stations continue to dominate. Fox4 almost pulled off an exceedingly rare double grand slam on Monday and NBC5 came within a hair of the same feat on Tuesday. The Peacock won at 5, 6 and 10 p.m. in both total viewers and 25-to-54-year-olds (main advertiser target audience for news programming) and added a 6 a.m. first in the 25-to-54 demographic. Fox4 had the most total viewers at 6 a.m.
Two new broadcast dramas went head-to-head at 9 p.m. Monday, with NBC’s Timeless faring far better than ABC’s Conviction. In the total viewers measurement, both were recipients of solid lead-ins from NBC’s The Voice and ABC’s Dancing with the Stars. Timeless held on to 196,320 D-FW viewers while Conviction drew just 94,524 to finish fourth among the Big Four broadcast networks behind the second hour of CBS’ Scorpion season premiere (which led with 225,404 viewers) and Fox4’s 9 p.m. local newscast (130,880 viewers). Conviction also ran last among advertiser-prized 18-to-49-year-olds while Timeless finished just a wisp behind Scorpion in the fight for first place. Monday’s biggest overall prime-time draws, The Voice and CBS’ The Big Bang Theory, reeled in 341,742 total viewers apiece. ESPN’s Monday Night Football, with the Minnesota Vikings throttling the New York Giants, finished close behind with an average of 327,200 viewers for the entire game. But MNF comfortably won the night among 18-to-49-year-olds with 169,976. CBS’ new Kevin Can Wait sitcom, starring Kevin James in what amounts to a re-do of King of Queens, is having problems in the 7:30 p.m. slot. It dug a ratings valley between Big Bang and Scorpion, and ranked last in its time slot with 18-to-49-year-olds behind The Voice, DWTS and Fox’s second half-hour of Gotham. Fox4 came within a hair of an exceedingly rare double grand slam, losing in only total viewers at 10 p.m. to NBC5. The station otherwise swept the 6 a.m. and 5 and 6 p.m. competitions in both total viewers and 25-to-54-year-olds (main advertiser target audience for news programming). Fox4 also added a 10 p.m. win in the 25-to-54 demographic. The Dallas Cowboys’ 24-17 win at San Francisco, after trailing 14-0, grew in ratings strength during each quarter-hour of the second half. Running until 6:24 p.m. on Fox, Game 4 averaged 1,396,051 D-FW viewers and 590,106 in the advertiser-coveted 18-to-48-year-old age range. The final minutes of the game ballooned to 1,679,624 total viewers. Last season’s fourth regular season game, a 26-20 loss at New Orleans, had bigger grabs of 1,593,540 total viewers and 746,290 in the 18-to-49-year-old demographic. But that one was played on NBC’s national Sunday Night Football stage, which almost always pays higher ratings dividends. The Cowboys’ warmup act on Fox, the Atlanta Falcons and Carolina Panthers, averaged 479,893 total viewers while CBS’ Sunday morning game from London -- Jacksonville Jaguars vs. Indianapolis Colts -- was a ratings snooze with 145,422 opposite church pulpit time for many. NBC’s Sunday Night Football attraction, the Pittsburgh Steelers’ blowout of the Kansas City Chiefs, drew 458,079 total viewers. The post-season bound Texas Rangers closed out their regular season in relative obscurity on Fox Sports Southwest with a day game that had 72,711 total viewers. On Saturday, ABC’s high-scoring, prime-time Top 10 matchup between Clemson and Louisville narrowly led the college football parade with an average of 239,946 total viewers. Fox’s Oklahoma-TCU matchup and ABC’s Oklahoma State-Texas game, both won by the Okies, averaged 232,675 viewers apiece. NBC’s season premiere of Saturday Night Live, with Alec Baldwin dead-on as the show’s new Donald Trump, pulled in 203,591 total viewers. Friday’s top overall prime-time attraction, CBS’ 9 p.m. episode of Blue Bloods, had 261,760 total viewers. The network’s 7 p.m. hour of MacGyver was the night’s top draw among 18-to-49-year-olds (67,349). Fox’s second episode of The Exorcist continued to make heads spin -- and not in a good way. It ranked last in prime-time among the Big Four broadcast networks in both total viewers (43,633) and 18-to-49-year-olds (12,828). CBS11 drew the most total viewers at 10 p.m. while Fox4 and NBC5 tied for first with 25-to-54-year-olds (main advertiser target audience for news programming). Fox4 swept the 6 a.m. competitions and NBC5 did likewise at both 5 and 6 p.m.